Originally uploaded by Danvillegirl Close up view of pleats from neckline. I did mine a little different than instructions call for. Originally uploaded by Danvillegirl This is a view of the back. Believe me prior to adjustments this back view looked more like a sack. Originally uploaded by Danvillegirl As promised, here is a front view of Vogue 8486. I had not fixed my hair or makeup so thought it best that you not see that view. Recent dresses have not been successful sewing projects. I am tickled to say that this dress is going to be a success. I have had to take some deeper and deeper seams to get this dress to fit the way I want it to fit. Below is the pattern. It does look like it is rather loose and straight. It would definitely hang that way if you were thin and waif like as the model wearing this dress. I use to be about 30 lbs. lighter and thin and petite. Now 30 lbs. and 30 years older, my shape is fuller and I actually have a fuller bust line. So why let that deter me from making this dress? It didn't. I thought that I could pull this dress off and I did. However, I was more inspired after reviewing my latest Vogue Pattern Magazine and saw this dress on a more full figured person in a solid colored knit. The dress on the "live" model fits tighter and I found it flattering on her. Sorry I don't have a pic of the magazine model at this time so you can visualize this better. I posted here about the facing for this dress. This is the facing pattern piece that is used for both the sleeveless and the 3/4 sleeve dress. As of 5:30 PM, I was officially on vacation!!!!!! And to start the time off right I spent over one hour in my sewing room following dinner and sending that one last email to my staff. I am pleased with the way the Vogue dress is coming along. I just sewed the sleeves and tacked the facings down. I then basted the side seams for another fitting. It is getting there. It is feeling a little snug through the shoulder area but not so much that it is annoying and it actually keeps the neckline snug in the upper chest area. It is still a little too full from waist to hemline. I decided that I will take a deeper back seam from waist down to hemline and then perhaps take a little deeper side seams. After taking shots of the two Vintage patterns, I took photos of my newly acquired Butterick and Burda patterns. I also took a few photos of the neck facing that I posted about on Sunday night. Sometimes a picture is worth a thousand words. But I am tired and will post them later. Yes, I am back from West Virginia. Long 3+hours drive. It was nice to get home. I was really tired. But not so tired that I did not check the mail. I am a mail freak! 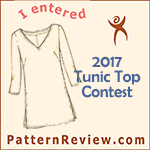 So glad I did as I recently won two patterns from a Friday give away through Sew Retro Blog. Myra, whose blog is called Adventures in Baby Sewing, was giving away two patterns. I was tickled to win. Here is what I won and was into today's mail. I truly like these. I was able to do a little sewing this weekend before I had to travel to Charleston, WVA. 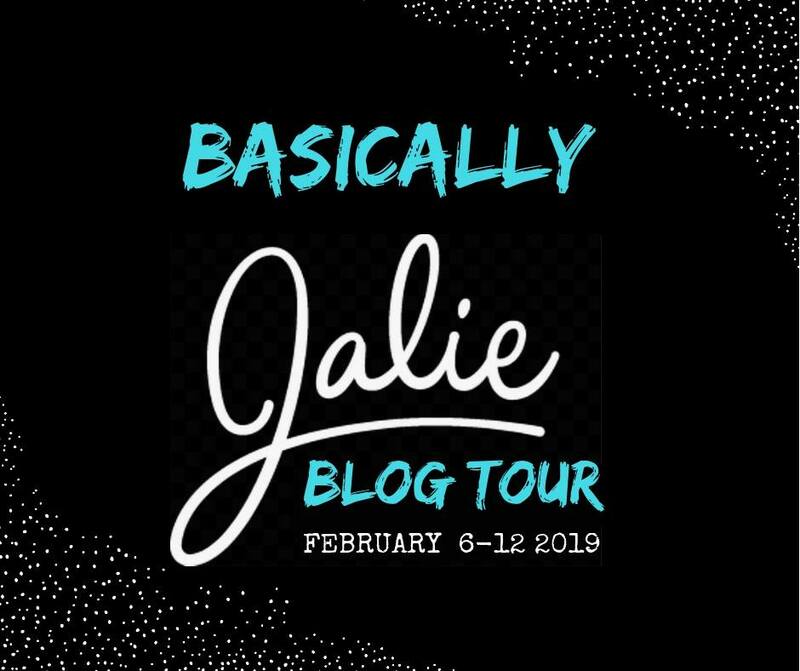 I am in my hotel room writing this now. This was 3+hours trip driving through some pretty mountain area. Add to that my packing and all things involved in getting ready I was pleased that I got to sew what I did on my Vogue dress. First I want to say this knit fabric I am using for this dress is truly a nice knit to sew. Secondly, given my last dress being too small, I chose to cut the larger size included in this pattern for bust to hemline. After sewing shoulders together and basting side seams for fitting, I definitely did not need the larger size. The good feeling about this was that the seams could be trimmed down to the next lesser size. Today was a day that I spent writing reports all day long. I stopped for lunch (off and on stopping) when one of my employees went to Subway and got us two subs. This is a report that is compiled twice a year but it has not been my project to write until now with new organizational structure. The accountant (bookeeper) came out when I had to tie back numbers which led to the discovery that our software system has issues. Some of it is people issues and the lack of data being entered. As in sewing and in my job, I "made it work". After completing that report for late night reading for edits tonight, I then had to write my weekly report about events, issues, meetings, etc. that took place last week and to distribute it to senior management team. I decided to put up fabrics that were set aside for summer sewing. With all the new fall fashions being displayed in stores and, of course, the September issues of various fashion mags showing the latest trends for fall, I decided to get a head start. I pulled out some fabrics that have been languishing in my stash waiting for the right moment. I also pulled out some of my newest fabric acquisitions. I also pulled patterns some new, some around for awhile but not sewn and a few TNT's. The first two projects on my list are a Vogue dress and a McCall's blouse pattern. The dress is for knit fabrics and I plan to use this fabric. The blouse will be made up in this fabric. Earlier this week I wore another dress creation sewn last summer. This was a Vogue pattern with empire waist detailing. The fabric was acquired from Gorgeous Fabrics and I believe is a cotton or cotton blend twill. It wears well. The turn back collar is rather large and I have to pin it underneath the turn back to keep it from pulling open or gaping. I will probably make another one of these and will reduce the collar width. 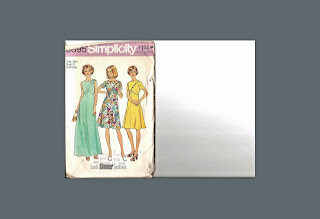 I just uploaded my latest Vintage/Retro patterns purchases. I acquired them from an eBay seller from whom I have purchased before. 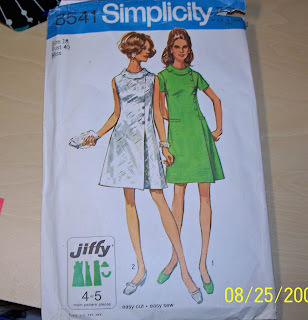 The Butterick pattern is similar to the Simplicity pattern I have been searching for. I like the jacket that comes with this dress as well. The other two patterns are 1960's ones. I recently saw a dress in Dillard's that was very similar to the red one on this McCall's pattern. The one at Dillard's was in two shades of brown. 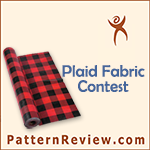 The other McCall's pattern is a similar style but with some noticeable differences. Wow, what a week. It has truly been hectic. Too many deadlines for reports that are not getting completed on time. Staff from other agencies visiting and meeting during the week, dinner following meetings thus getting home late several nights this week. Finding no time to sew, exercise or just look at sewing or fashion magazines. So I am most thankful that it is Friday and one of two reports will get completed. My boss is out of town for several days :-). I can dress a little more casual today! And give some thought to what I am going to sew next. My plans continue to change on the sewing front. Waiting for me when I got home last night was my latest vintage patterns I got from eBay. One is a dress pattern very similar to the Simplicity 2959 that I have been searching and searching for. I will take photos of my latest buys and post later. Time to finish getting dressed for work. Our temperature fell last night. Low was in mid '50's. That certainly will get one thinking about fall sewing. I am about to switch gears and starting to think about jackets, skirts and 3/4 and long sleeve blouses and tops. I picked up the latest issue of Sew Stylish and fell in love with the orange jacket on the front. Mainly because of the color, I love orange shades and they work well for me. I have warm undertones so the warm colors always appeal to me. This week at work is going to be stressful so the only sewing I will probably get done is in my head. First I want to thank both of the Linda's who left a response regarding second bad karma dress! I know what the issues are now for this dress. One Linda, suggested using FFRP'sFBA for princess dresses. That might be the right thing to do. I know one of the issues in reviewing the altered front pieces is that I did not clearly matching up the adjustments on each piece thus part of the wonky bust fitting. The other thing is that I need more FBA than what I did originally. I should have make 2.5 inch FBA instead of 2. That 1/2 inch probably would have help along with the proper alignment of both pieces. Instead of starting a new project at this time, I decided to complete some UFO's. One was a dress I made last year that was just to full from the back waistline down. I basted deeper seams earlier in the week for this dress and today I stitched them down and removed the previous stitches to press the new seams. My dress is not going well. Remember this post about the ruching/bust/etc., I added the facings and the sleeves to the dress this afternoon. I again tried on the dress and the bust area is just not going to work. This is due to the bust adjustments I made to both the front and side front pieces are just not lining up correctly. Where the seam is on the front, the bust area is "pooching" out in the upper chest area and beneath the bust it is pulling. This then causes pulling on the other side where there is no front seam. It just feels wrong moving my arms and the bust area is simply too small. Letting out the front seam along with narrower side seam allowance is just not going to work. I am sure many of you are starting to receive or purchase various magazines with the latest fall fashions. I have to say I am excited about sewing for fall yet I have not completed all that I wanted to do with summer sewing! I am about finished with my dress that I started on last weekend and did not finish as I hoped. Not much to do really and once complete I am wondering what will I make next. 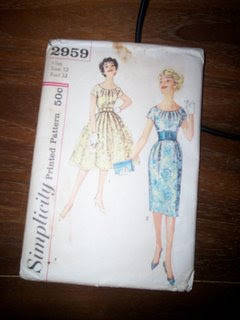 I am thinking about making another dress using a vintage pattern I acquired sometime back. I think that the fabric and the dress will be a nice transition into fall. With some of the recent knit fabrics I acquired I am wanting to sew up a dress or top and skirt again with transitioning into fall in mind. I am off to sewing room now to work on dress. DH and I are having dinner with some friends this evening and I still have to pick up a few more items at the grocery store that I could not acquire at another store last night. This is one of my recently acquired Vintage patterns. I acquired this from "ohsewcharmingpatterns" on Etsy. It arrived yesterday. I like the part at the bottom of the envelope that says "Look Slimmer Pattern". You need to click on the photo to actually read/see this. I like the floral version of this. Our office facility is undergoing some renovations and expansion. Today my office was one that is located close to some electrical/fiber optic conduit something, requiring the construction folks to drill a hole under my window, run wiring, etc. So I got to leave about an hour earlier than usual. This allowed me to return an overdue library book, go to CURVES, come home, shower and actually spend time in my sewing room. I was able to sew up the side seams on the Vogue dress and serge finish the sleeves and sew the sleeve seams. I have a dress hanging in the sewing room that I have yet to wear since making it as it needs the back seams taken in. I decided to do that. I then tried it on and found the fit much better. I plan to wear this dress later this week. As I noted earlier, I decided to use another fabric for the dress. I am glad I did. This is sewing up well and is sturdy enough to allow removing stitches and resewing. I had hoped that I would not have to do this but adjustments were necessary. Here is a view of the front of the dress. Note that the side seams are not sewn, casually pinned on Alma Marie. After visiting family in Danville, I have been in my sewing room since returning home. The Vogue dress is still in the works but decided against using the fabric originally planned. It is just too unstable without an underlining. I did not like any of the lining fabrics I had to use as there were none similar to the background color. I had some lining fabrics in colors similar to some of the flowers on the dress fabric but not enough yardage of either one. Plus the more I handled the fabric the more I knew I did not want to use it for this dress. So I pulled out some other fabric from stash, a black with white dots on it. A purchase from last summer from JoAnn's. I had planned to make another dress from it last summer; but in trying out a new to me pattern fitting adjustment technique, I messed up the pattern and put the fabric and pattern aside. Like many others, I started buying some Vintage Patterns a few years ago. What got me into this was reading a post from Gigi about bidding on a pattern that was somehow related to "I Love Lucy". So I ventured on to eBay and found a few patterns that I bid on and won. 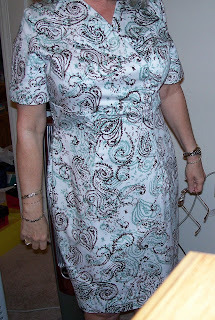 I then found the blog-Sew Retro-and have read and seen many garments that others have made using vintage/retro patterns. This of course has led to my finding numerous sources for these patterns besides eBay. Of course there is "Etsy" as well. I have purchased some patterns from sellers there as well. Last night, not wanting to actually sew or watch the stuff DH was watching on TV, I ventured to Etsy and ended up purchasing two more patterns. These are from the '60's.